The fitness market is becoming crowded and customer retention is a challenge with fitness clubs losing around 50% of their members each year! Whilst budget gyms compete on price, mid-market gyms are beginning to define their audiences, and boutique gyms focus on enhanced service levels and customer experience. On top of this more and more people are choosing to get fit at home as technology and out of gym fitness equipment improves drastically. Barnsley Premier Leisure operate 11 not-for-profit gyms across South Yorkshire, and it was clear that their ‘Fitness Flex’ brand needed to be revitalised and repositioned away from the crowded value gym marketplace, and align with its core message to focus on its members and their personal fitness goals. We developed a new brand concept for the fitness provisions provided by Barnsley Premier Leisure both as a stand alone fitness gym and within larger leisure centres which they operate. We renamed the gym chain ‘Your Space’: your space to feel good in. We created a ‘feel good’ multi-coloured fun and friendly brand which officially launched in December 2018 with a refurbishment to a stand-alone gym. A new exterior signage scheme was created whilst interior graphics utilise the greys from the colour palette with pops of bright accent colours across fun graphics and uplifting brand messaging. In 1988, Bob Dylan released Brownsville Girl, George H W Bush replaced Ronald Reagan as president of the United States and Brooklyn Brewery officially opened its doors in Williamsburg. This area of Brooklyn was just being ‘discovered’ and was described by a famous designer, as a gritty, cool place full of attractive young people. At this time there was a total of 199 breweries in the whole of the US, up from an all-time low of 89 breweries 10 years earlier and a long way off the nearly 7,000 now operating across the country. Brooklyn (the brewery that is) has become a major force in the beer revolution that was started by home-brewers and which has now become a global movement. Moreover, the Brooklyn brand has endured, unchanged, and is as relevant to its consumers today as it was 30 years earlier. 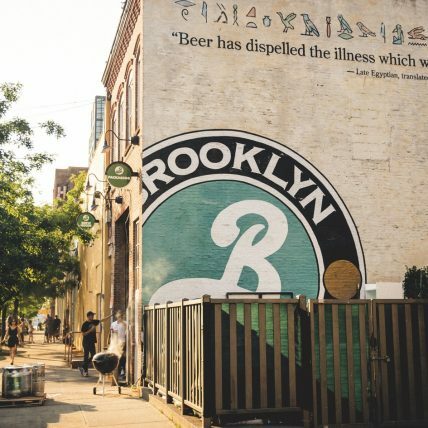 Originally founded by Steve Hindy and Tom Potter, Brooklyn Brewery still operates from the same place where, previously, approximately 35 breweries had been based – even as late as the 1960s, Brooklyn’s breweries produced 10% of all the nation’s beer. Back in 1978 WPA Pinfold was a start-up design company built on a wing, a prayer and a £100 overdraft! Four decades later, WPA Pinfold is celebrating 40 years of original, forward-looking design and creative brand thinking. 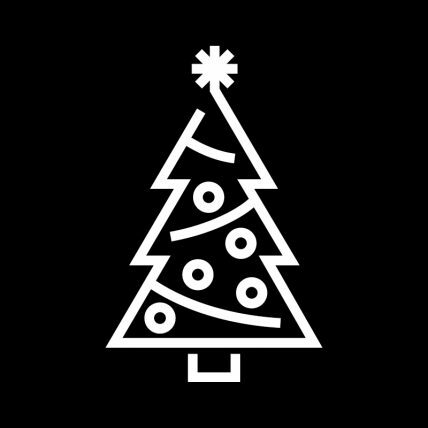 In celebration of four decades of brand thinking, and because it’s the festive period, we have created a reindeer using only the letters WPA 40 YEARS and our favourite typeface, Helvetica Neue. Wishing everyone a very Merry Christmas from all at WPA Pinfold. WPA Pinfold scoops up five trophies in the Graphis Branding Awards! Graphis is internationally acclaimed for showcasing some of the world’s best designs and we are thrilled to have been awarded not just one, but five design awards for our branding, communications and packaging design projects. 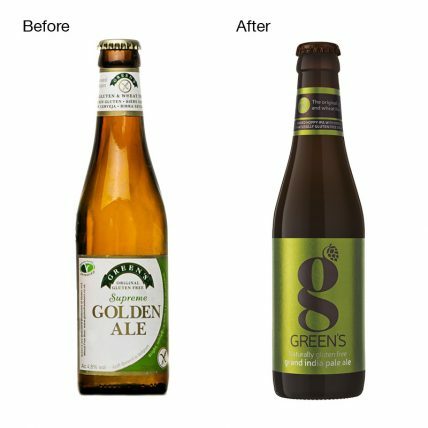 Green’s Gluten Free Beers – We rebranded Green’s and repositioned the packaged range of beers, to sit proudly on shelf in the mainstream beer category – as well as premiumising the range in its existing Free From category. Fitness Garage – We created the name, brand positioning and identity for a new functional fitness brand, that saw memberships increased by 162.5%, exceeding targets by 62.5%. Arriva – We repositioned Arriva from a functional brand, to a more emotional and customer focused brand positioning. The new identity unifies 14 countries and over 60,000 employees, under one cohesive brand. Bella Pizza – We rebranded Bella Pizza to support their value proposition and product features – fresh, individually prepared stonebaked pizzas with great texture and flavour. Harvey’s Brewery – As the oldest independent brewery in Sussex, Harvey’s needed to reaffirm its credentials and reposition the brewery for a fresh generation of beer drinkers. 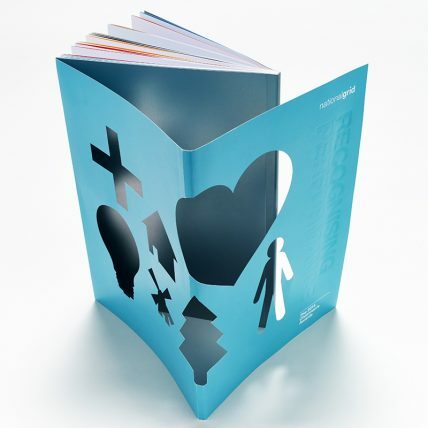 This has taken our award wins to over 75 global brand design awards in just five years! We’ve created the branding and developed a bespoke campaign for Arriva Click, an innovative on-demand minibus service that is launching in South Liverpool at the end of this month! The digital experience was an important aspect of the service, with customers using an app to select their pick up and drop off points around the city; we designed the app and supporting website, which is easily navigable for its users. Eye catching livery was created for the fleet of 12-seater vehicles, featuring free 4G Wi-Fi, charging points, leather seats and a wheelchair space. 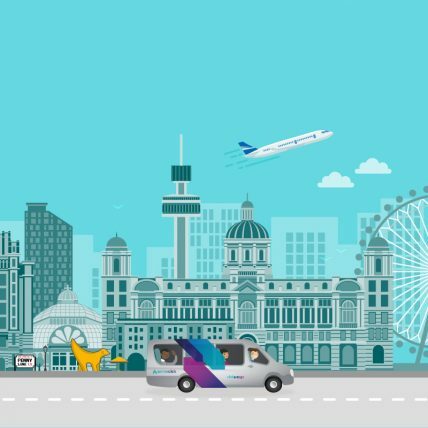 Liverpool is the first city in the UK to receive the fully demand responsive service by Arriva – we created a full set of brand guidelines so the service can eventually be rolled-out to other locations. “Arriva Click is an important step in reaching our vision of being the mobility partner of choice. It was important that the branding reflected the innovative concept of on-demand transport whilst retaining the equity of the Arriva main brand. WPA delivered on this challenge, not only by creating stand out branding but also developing a launch campaign that we can roll-out for other cities.” Marketing Manager, Arriva Bus UK. Graphis is an international publisher of books on communication design, based in New York City. 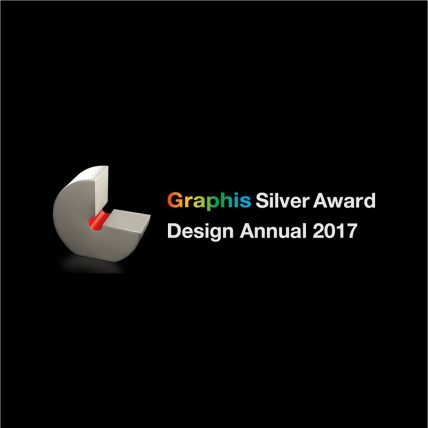 Graphis is a prestigious internationally recognised award that celebrates and promotes the work of exceptional talent in Design, Advertising, Photography and Art/Illustration. Arriva is one of the largest providers of passenger transport in Europe, delivering more than 2.4 billion passenger journeys each year. It was crucial that the new identity we created unified the 14 countries it operates in, with over 60,000 employees, to become one cohesive brand. We are thrilled that our brand identity work for Arriva has been recognised by such a prestigious and internationally recognised award. We’ve won a GOLD and two BRONZE awards for our branding work with Harvey’s Brewery, Body Sculpture and Bulwark Cider! 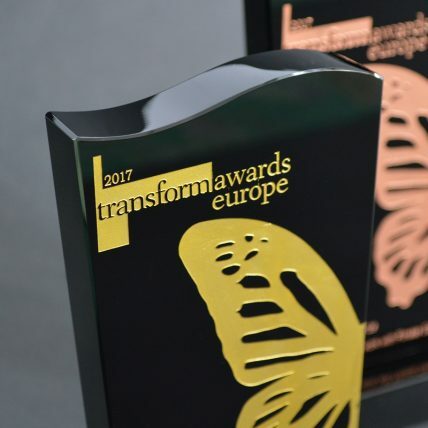 The Transform Awards ceremony is one of the most celebrated branding award nights of the year, and we’re delighted to announce that for this year’s entry, we have won a gold award for Harvey’s Brewery in best brand evolution, and two bronze awards for Body Sculpture and Bulwark Cider, both in the best use of packaging category. 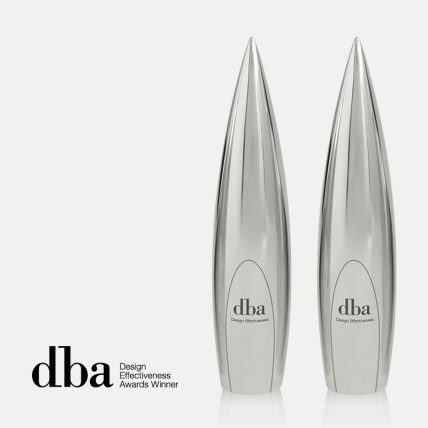 We are delighted to announce that we have won two SILVER DBA Design Effectiveness Awards in this year’s annual! At last night’s awards’ ceremony, at The Brewery in London, we picked up a SILVER award for our brand packaging work with Bulwark Ciders and a SILVER award for our branding work with Body Sculpture. These fantastic new awards bring our grand Design Effectiveness Awards total up to 18, whilst maintaining our spot in the league table as 4th most effective design consultancy in the UK. 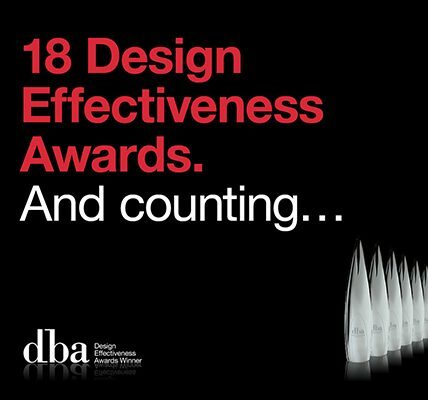 The DBA Design Effectiveness Awards recognise how great design can have a tangible and measurable impact upon commercial success of a business, whatever their goals may be. For Bulwark, we rebranded their range of craft ciders to reposition the brand as a premium and authentic range with an artisan provenance and natural ingredients. Following Bulwark’s rebrand, they are on target to double their sales in the UK, increased their staff members by 50% and won accounts in the US, China and Hong Kong! Whilst our rebrand for Body Sculpture aimed to re-align the brand in today’s crowded retail landscape, allowing the brand to increase profit by 34% in the first 18 months after the rebrand, and increase their overall sales performance by 120% with a further expectation of growth! 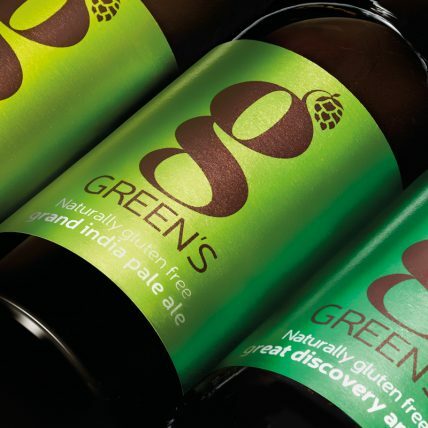 Our design work for UK’s first ever alternative grain and naturally gluten-free beer, Green’s, has been featured in Brand Experience Magazine. 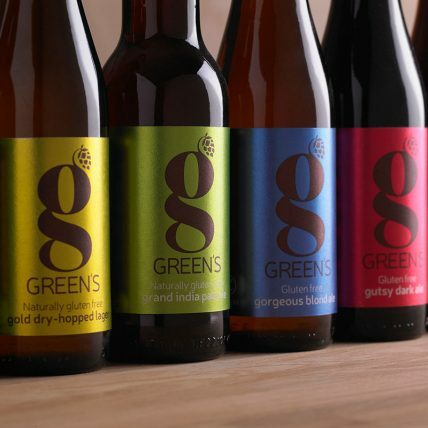 Green’s previous branding and packaging was lacking structure and positioned the range more as a clinical product rather than a quality tasting range of beers. The brand needed to capitalise on the fast expanding craft beer markets and also add value to its current range of beers for existing coeliac customers. The goal for the project was to realign the brand as quality producers of craft brewed, gluten free beers and position Green’s as a premium, contemporary beer range to future proof the brand, as well as appealing to a wider non-coeliac market. 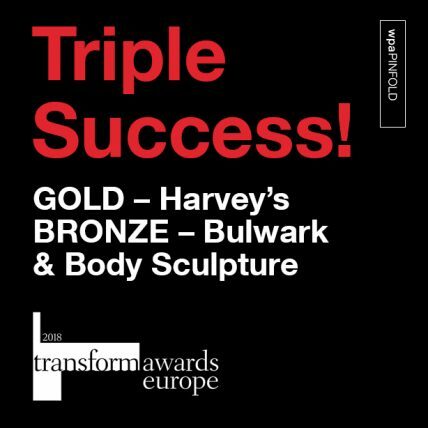 Our design and creative expertise have been recognised by the Transform Awards Europe, as we have been shortlisted three times for our work with; Harvey’s Brewery, Body Sculpture and Bulwark Cider! We moved Harvey’s into the craft beer market to attract a whole new ‘younger’ generation of beer drinkers, but also to refresh its original audience and give them a taste of the new wave of craft without moving too far away from its existing market. Premiumisation was a key deliverable for the rebrand of Body Sculpture – we kept the designs relevant and accessible to a wide range of users, particularly at the entry and home gym level. Our focus for Bulwark’s rebrand was to add to its value proposition and reposition it in the added value craft cider sector, whilst expanding into new markets. We are thrilled to have the opportunity to celebrate with our colleagues and clients, for being recognised by one of the most prestigious awards for successful brand communications. We find out if we take home Bronze, Silver or Gold at the awards ceremony in March! Our collaboration with print specialists, Epic, has been recognised once again! We have achieved a merit in the HOW 2018 International Design Awards in the 3D objects category for our ‘Make Your Mark’ Epic Notebooks. 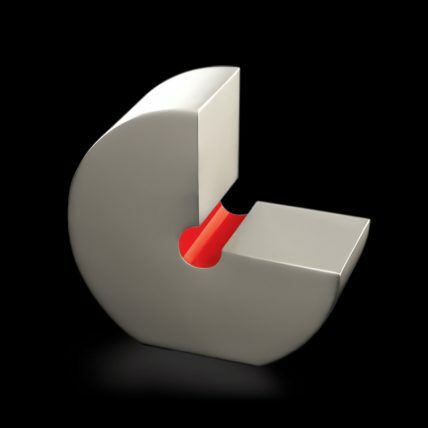 This brings our our total up to 9 HOW International Design Awards in just five years. We teamed up with Epic to design a notebook for the start of the 2017 financial year, let’s see what exciting projects 2018 brings! This year we asked everyone at WPA Pinfold to hand-draw their own Christmas trees. Using the festive formula of tree-gonometry, with ratio and balance, we have each created our own perfectly proportional Christmas trees. Wishing everyone a Merry Christmas from all of us at WPA Pinfold. Very proud to announce that we have been awarded another 2 Design Effectiveness Awards for our work on Body Sculpture and Bulwark Cider. 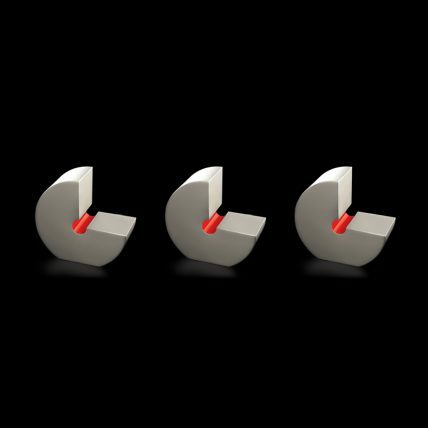 This brings our grand total up to 18 Design Effectiveness Awards since 2012! Bulwark is a cider maker based in the rich and fertile Annapolis Valley of Nova Scotia, Canada – we created the new design to position Bulwark as a premium and authentic range of ciders with an artisan provenance and natural ingredients. 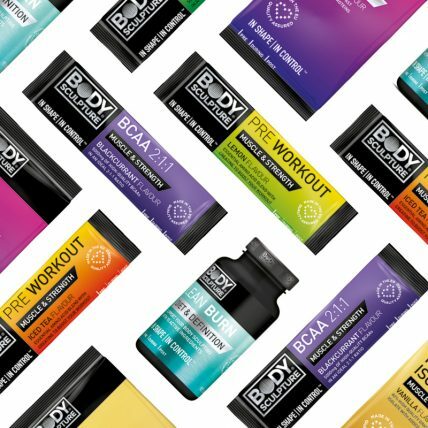 Body Sculpture is a global fitness brand with a 50-year pedigree. We re-aligned the brand with today’s retail landscape in mind: the design of the packaging had to work across a vast range of products and packaging types. We’ll find out if we’ve won Bronze, Silver or Gold at the awards ceremony in February, and be sure to keep you posted! Our Make Your Mark – Epic Notebooks make their mark in the HOW 2017 Promotion and Marketing Design Awards winning, ‘Outstanding Achievement’. For the design of the notebooks, we teamed up with print specialist Epic to design a notebook for the start of the 2017 financial year. The notebook showcases Epic’s specialist print techniques, as the monthly illustrations use foiling and HiLite (a digital varnish technique) to represent the different themes for each season, giving the notebooks a colourful and vibrant finish. The notebook includes a full calendar, notes section and doodles page so that clients can write down all their important meetings for the months to come. Response from receivers has been fantastic, with many clients commenting on their style and practicality as well as the beautiful print illustrations for each month. We are deeply honoured by this award and look forward to next year’s creative venture with Epic. Known as the ‘champagne of beers’ and with a heritage that goes back over 225 years, Harvey’s needed to reassert its credentials in the face of growing competition. A radical move for the brewery, required an equally radical approach to the design – positioning Harvey’s for a fresh generation. The new look embraces Harvey’s provenance and opens up new opportunities into the craft beer sector. The design work for the Kirkstall Three Swords Can takes inspiration from the style of manuscripts that would have been produced by the Cistercian monks who inhabited the Kirkstall Abbey, near where the brewery is located. The ‘3 swords’ concept, was brought in as it coincided with the emblem on the Kikstall Abbey, originally brewed by the monks. Our branding for Bella Pizza as part of our work with Heron and Brearley, saw the creation of a logo which reflects the unique characteristics of all classic pizzas with its irregular shape, whilst the typography was hand drawn to reflect the artisan process and ingredients of the traditional stone baked pizza. The use of red was influenced by the Isle of Man flag as well as some of the H&B branding to give the identity a sense of place and provenance. At our very first entry into the Employer Brand Management Awards, we are thrilled to announce that we have won not just one, but three GOLD Awards for our work with HomeServe on their Employer Value Proposition and internal branding. Our work for HomeServe saw the development of the ‘Peoples Promise’ – a set of values that underpin what employees can expect when working for HomeServe, and what is also expected of them. The employee-oriented approach of ‘taking care of our people’ proved to be a real success, increasing employee engagement from 56% to 84%. 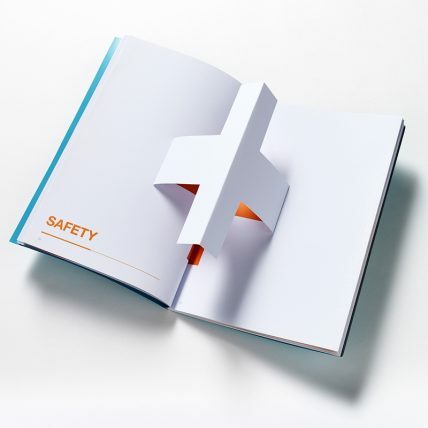 The Peoples Promise has been well received by many awarding bodies, including the Design Effectiveness Awards, commemorating the work not just for its creative element but, for its success in driving employee engagement. The awards programme exists as the true benchmark of the employer brand management process. Metrics such as retention and cost per hire go far, but, until now, there has not been an awards programme that compares and contrasts the different aspects of successful employer branding. Nothing that fully rewards excellence and celebrates the campaigns and the organisations that excel in this field. At this year’s open studio, WPA Pinfold welcomed many students from around the UK who hope to secure a place on our exclusive Design Academy programme. Following a short presentation from our design team about our award-winning work and what it’s like to be in the team at WPA Pinfold, students then went on to gain constructive feedback on their portfolios from our experienced Design Directors as well as our previous design academy students – now Junior Designers. 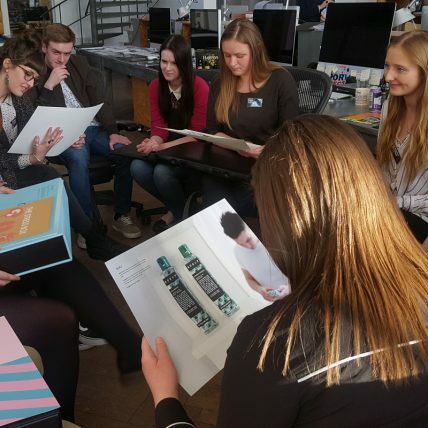 Our Design academy offers credible work experience in teams from: Brand ID, Packaging, Digital and Internal Communications, making it a fantastic career opportunity for graduates that helps bridge the gap between university and working in the design industry. On completion of the induction period, where the graduates will be working as part of our design teams, the best will stay on to become fully fledged designers. We thank all the students that attended our open evening this year, and wish them the best of luck in their future career endeavours. WPA wins another GOLD for Green’s Gluten Free Beer! 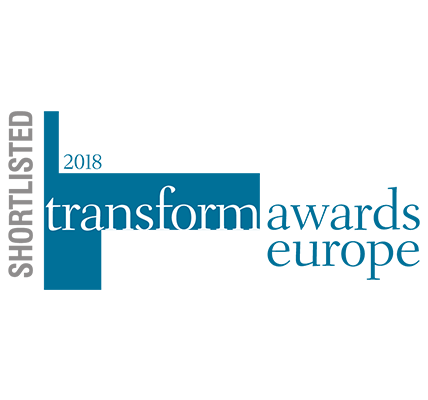 After a glorious evening at our very first Transform Awards ceremony (one of the most celebrated branding award nights of the year), we’re delighted to announce that for this year’s entry, we have won a Bronze for Fitness Garage in best brand experience and another Gold for Green’s Gluten Free Beer in best use of packaging. The awards recognise best practice in corporate, product and global brand development work, with categories that focus on strategy, execution, content and evaluation. More than that, it is a platform for brand design consultants like us, to tell our clients brand stories through creative, strategic and well thought brand thinking. WPA has delivered two more Design Effectiveness Awards for its clients! 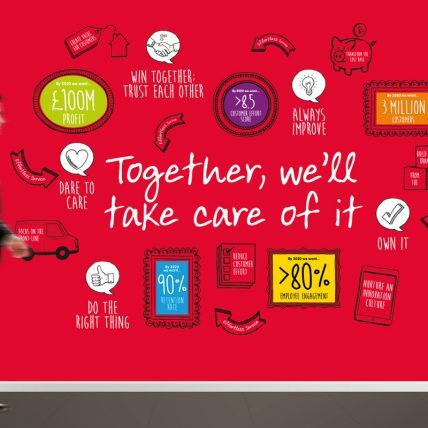 For HomeServe we created brand communications for its internal Employee Value Proposition with the launch of the ‘People Promise’; a set of values that explain HomeServe’s commitment to its employees and the commitments it expects from them. The results saw the business smash its 80% employee engagement target in record time and cut customer complaints by over 67%. Whilst our rebrand for Green’s Gluten Free Beers repositions it as a credible beer brand — making Green’s a beer of choice, not a beer of necessity, for both coeliacs and mainstream beer drinkers alike. Who says gluten free beer can’t only taste good, but look good, especially when it delivers a massive 366% investment return. In the success of measuring effective design, the Design Effectiveness Awards are the ultimate accolade and applauded as a benchmark across the design industry. This is the only award scheme that measures the true value of design from a commercial aspect — for it is not simply about beautiful design (this is a given), it is also about the tangible benefits for the client and a measure of the return on investment. For the second year running, WPA Pinfold have delivered the visual identity for the DBA’s annual Design Effectiveness Awards. 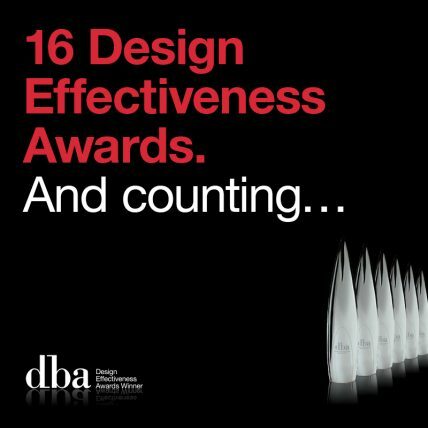 The DBA’s annual Design Effectiveness Awards are both prestigious and authoritative. 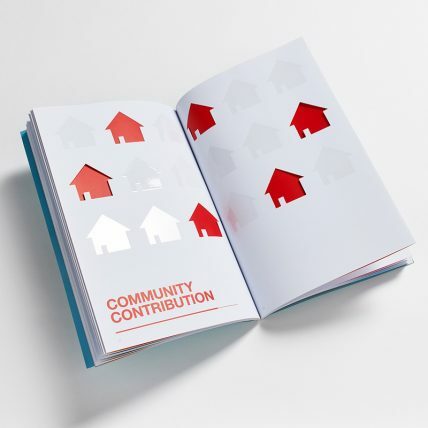 We were asked to develop the look and feel for the awards communications materials. The main identity takes inspiration from the shape of the original DEA awards trophy. 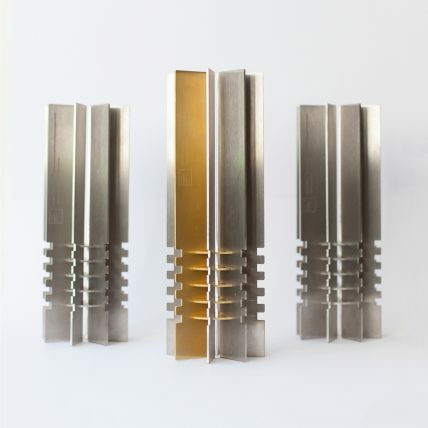 The trophy shape itself was created from the joining of the words ‘effective’ and ‘together’ — reflecting both the ceremony and the joining of businesses in celebration of effective design. In addition, several key phrases and words were developed, which all featured the Trophy shape within the lettering. We created a series of pre and post event e-shots, which contained information about the event as well as animation. Animation was used to great effect to join the words together and highlight the trophy shapes, which can be found in all the words. Within the DEA identity, we were also involved in the design and implementation of many other marketing materials for the awards night from: announcement letters, award invitations, homepage banners, DEA web design for their awards page, events tickets, on screen presentations and menu & programs for both their design and businesses audiences. We are thrilled to announce that we have been awarded not just one, but four Silver Graphis Logo Design awards for our work on: Fitness Garage, Fox Valley, Wellcare and Char-T. These new design successes extend our global awards portfolio to over 62 within the last four years. 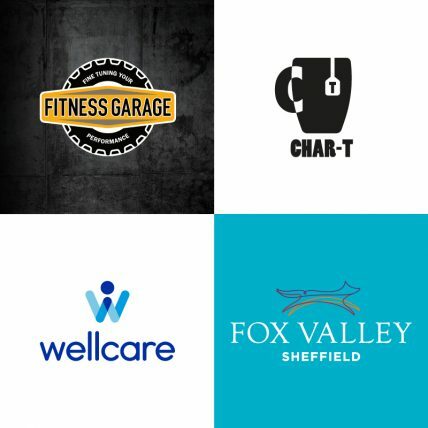 The logo design for Fitness Garage takes inspiration from the retro garage signs of the 50s but with a modern use of industrial colours – yellow and black, along with a signature motif of a tyre that also represents the functional fitness ethos of the gym. 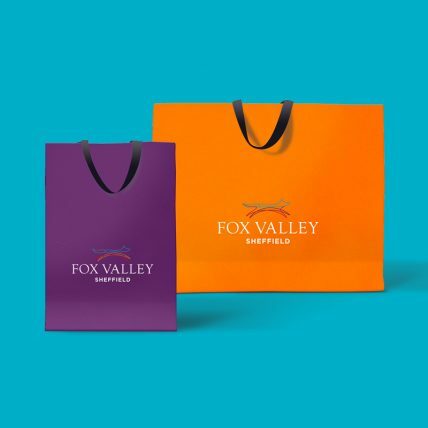 The concept for the Fox Valley logo derives from the heritage of the site, originally Fox Wire Steelworks, owned by Samuel Fox – credited with inventing the steel frame umbrella. The logo identity is made up of an expressive wire frame illustration of a leaping fox. The conception for Wellcare’s logo was developed around the idea of ‘vitality in movement’, which in turn informed our creative process. 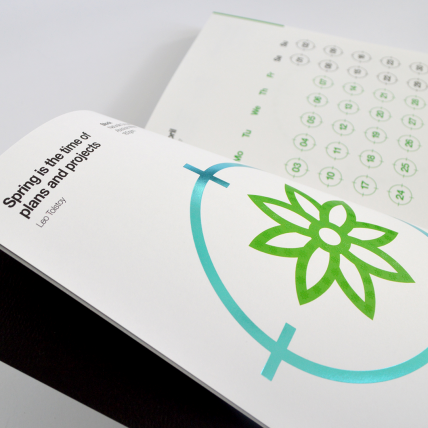 As part of our solution we developed a mark conveying human vitality and movement. Char-T’s logo was developed as part of a campaign that focuses on helping the homeless people around Leeds, by providing a hot drink and words of comfort. Our approach was to create a bold and simple mark which would reproduce easily in one colour. It gives us great pleasure to announce we have been awarded another 2 Design Effectiveness Awards for our work on HomeServe and Green’s Gluten Free Beer. These new additions give us a grand total of 16 Design Effectiveness Awards since 2012. Our work for HomeServe saw the branding of HomeServe’s internal Employee Value Proposition for the launch of the ‘People Promise’; a set of values that underpin what employees can expect when working for HomeServe, and what is also expected of them. The new rebrand for Green’s creates a unique positioning for them, repositioning it as a credible beer brand — making Green’s a beer of choice, not a beer of necessity, for both coeliacs and mainstream beer drinkers alike. The award ceremony will be held at The Brewery in London in March, and will showcase some of the very best in design effectiveness, from all disciplines. We are very proud that our work will be featured in next year’s prestigious DBA ceremony. 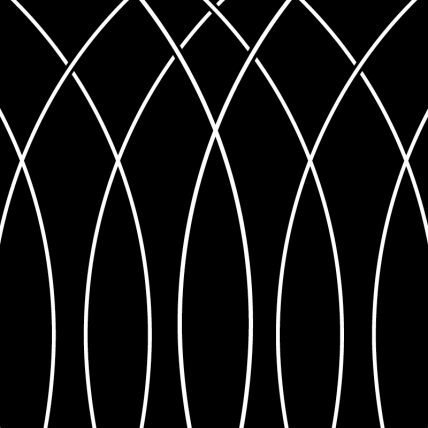 WPA Pinfold is thrilled to announce that eight of our projects have been recognised by Graphis, and awarded two Silver awards and six Merits. This follows and doubles on our success of winning four awards last year. 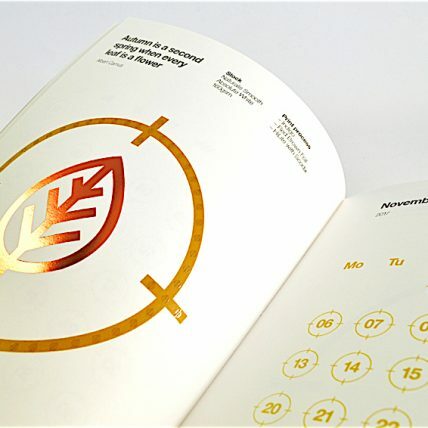 Our work for the Epic Typographic Calendar and Fitness Garage won Silver in the Branding and Calendar categories, whilst a Merit has been awarded for our branding, communications and packaging design projects: Arriva History Book, elife rebrand, Mena Dhu new brand, Theakston Old Peculier rebrand, WPA-Paperflake digital self-promotion and Rebecca Scott rebrand. With a commitment to presenting and promoting the work of exceptional talent in graphic design on an international scale, we are extremely proud to have our work featured in the Graphis Design Annual for 2017. WPA Pinfold were delighted to design the logo for The Fox Valley Retail Park, an exciting £50 million development delivered by South Yorkshire retail property specialists Dransfield Properties Ltd. Officially opening in the summer by TV and film star Joanna Lumley, the retail park has already welcomed tens of thousands of visitors. WPA Pinfold were appointed by Dransfield Properties Ltd to create a visually exciting brand identity that would also deliver integrity and longevity for the brand to continue to flourish beyond the development phase. The design concept derives from the heritage of the site, originally Fox’s Steelworks, founded by Samuel Fox who was credited with developing the paragon umbrella frame. The brand identity is made up of an expressive wire frame illustration of a leaping fox, whilst the typography used is a classic English serif typeface and a contemporary sans serif, combining history with today’s modern designs. 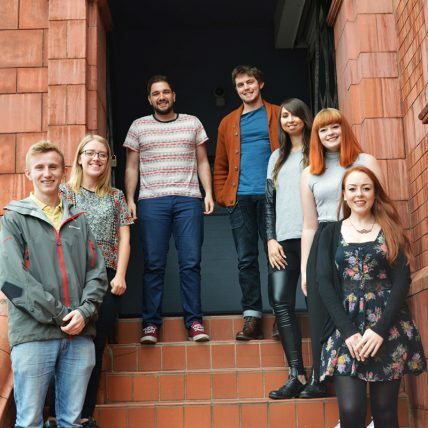 WPA Pinfold are passionate about investing in future talent, and this year, we have welcomed seven students and graduates across our design, digital and marketing teams on our internship and Design Academy programmes. Each student and graduate has been partnered with a mentor and works with our teams on live projects, whilst also carrying out personal assessments and undertaking specialist training. These programmes provide students with additional skills and knowledge that can be directly applied to their studies and enables graduates to gain practical experience in the industry they wish to work in. “I’ve found my experience at WPA Pinfold to be really enjoyable. I’ve learned so much in such a short space of time. The Design Academy programme has been an invaluable opportunity as it has helped bridge the gap between university and the creative industries. Working on Design Academy briefs alongside live client briefs has allowed me to work on a variety of different projects and learn a wider range of design skills in the process.” Katie Wilkinson, Design Academy 2016. Our new recruits have been a great addition to WPA Pinfold over the summer. We wish our student interns all the best with their studies and hope our graduates continue to enjoy their experience with us. 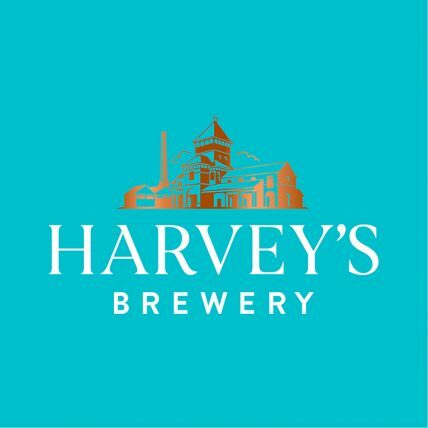 WPA Pinfold has redesigned the Harvey’s brand, which is officially launched on 9th August at the Great British Beer Festival, Olympia. Harvey’s of Lewes is renowned for its wonderful range of cask ales, created in its traditional brewery that dates back to Victorian times. As the oldest independent brewery in Sussex, Harvey’s needed to reaffirm its credentials and reposition the brewery for a fresh generation. The redesign includes; classic typography, whilst the brewery icon is rendered in copper which is complemented by a fresh turquoise, inspired by the Sussex coast – the tap handles and use of white is inspired by the local limestone cliffs. All these elements combine to create a unique, classical brand that gives Harvey’s the added value positioning it deserves. Harvey’s Sales and Marketing Manager said: “We felt that WPA Pinfold’s solid expertise and in-depth knowledge of the brewing industry was key in ensuring our brand was in safe hands. The designers respected our heritage whilst enabling us to move forward and reach a fresh generation of drinkers”. The refreshing rebrand is particularly exciting as Harvey’s Sussex Best will be sold at the British Airways i360 in Brighton – the world’s tallest moving observation tower. Click here to read ‘Design Week’s’ article on our work with Harvey’s. We are delighted to have won Silver in the Graphis Poster Annual for the Fringe art event, “Art in the Garden”. 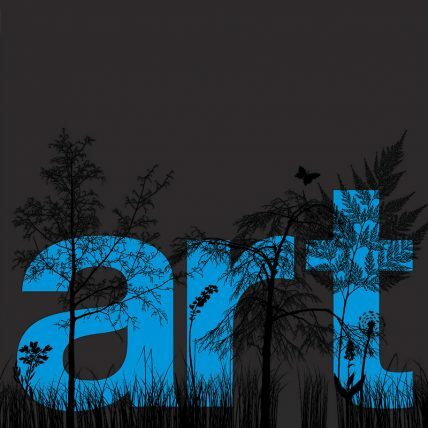 A special UV varnish effect was used on the front of the poster, giving the impression that the word ‘art’ sits behind the foliage of a garden. Appearing in Graphis is an ultimate accolade in the field of design and we are proud to receive recognition for our work, especially when it is up against the best in the world. The fringe event of Holmfirth Artweek, one of the UK’s largest open art exhibitions, was a huge success with all proceeds going to Macmillan Cancer Support. The poster was created as part of the identity and promotion to support the event and copies of the posters were also sold to the public as part of the show, making Art in the Garden one of the top contributors to the charity. We have just held our annual Design Academy open studio. Students came from all over the UK to find out all about career opportunities at WPA Pinfold and to show off their portfolio in our portfolio clinic – with the aim of securing a place on our Design Academy 2016! 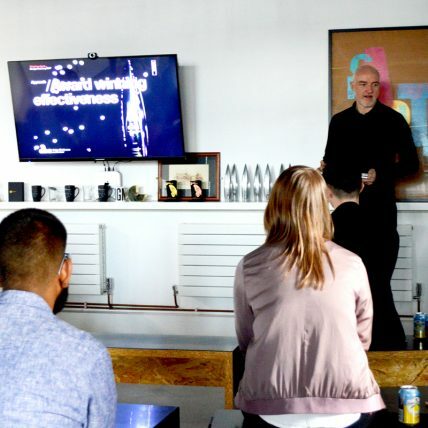 Following a short presentation from our design team about our award-winning work and what it’s like to be in the team at WPA Pinfold, students then went on to gain constructive feedback on their portfolios from our experienced Design Directors. We received fantastic feedback from attendees, one graduate tweeting, “Just finished having a nosey around WPA Pinfold in Leeds, and it looks like graduate job heaven.” With such a high calibre of portfolios, our directors are challenged with selecting only a few. Our Design Academy programme helps recent graduates bridge the gap between university and working in the design industry by giving them real studio experiences and providing them with invaluable skills for their future careers. On completion of the induction period, where the graduates will be working as part of our design teams, the best will stay on to become fully fledged designers. All at WPA Pinfold wish the students the best of luck for their future careers and look forward to welcoming the successful applicants joining our teams later this year. WPA Pinfold has created a new supplements brand for Body Sculpture, the global fitness equipment and accessories supplier. The range has been specially formulated for Muscle & Strength and Diet & Definition, the two main categories for this market. The protein supplements sector is fast growing and has become highly competitive, so it is important that any new brand has outstanding presence and a strong proposition. The new Body Sculpture supplements have been specially developed for on-the-go, portion controlled convenience for consumers. The design takes a no nonsense approach with clear communication of the product using classic, functional typography, whilst vivid vignettes of colour have been created across the packs to deliver a sense of dynamics – to represent both the extensive range of flavours and functionality of the supplements – delivering stunning shelf impact. The range of it aims to bring greater product differentiation and innovation to the supplements market, with added quality and ease in terms of consumption. It was through this insight that the branding had to deliver synergy with the master brand and be fit for market. The new supplements were launched at this year’s FIBO – The Leading International Trade Fair for Fitness, Wellness and Health in Cologne, Germany and are being distributed globally. We are delighted to announce that one of our packaging designs has been recognised by Mobius, and awarded a certificate for outstanding creativity. The Mobius Awards were first established in 1971 and have been celebrating excellent designs from around the globe ever since. The awards recognise the effectiveness and creativity of work by professionals in the advertising and marketing field. 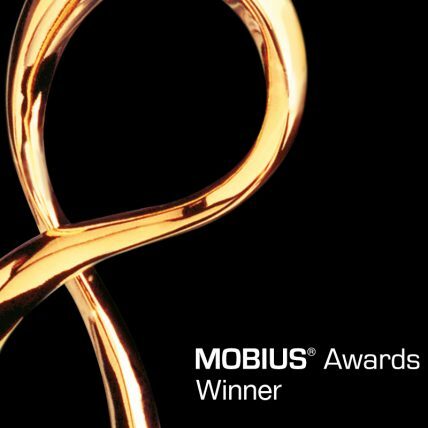 It’s fantastic that our designs are being recognised on an international scale and we are very happy to be adding another Mobius Award to our ever-growing collection. We’ve won over 24 design awards in the last 12 months and hope to add to our awards throughout 2016. Take a look at some of our latest work here. Rebecca Scott specialises in classic, handcrafted English furniture, with a contemporary twist. 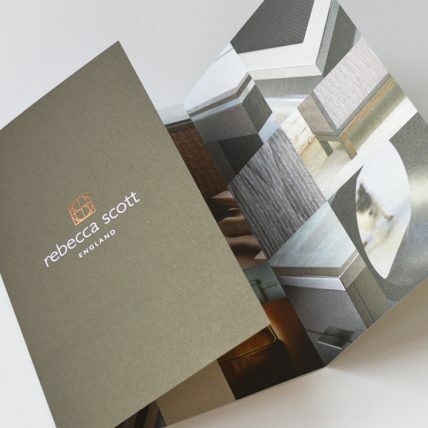 We have recently rebranded Rebecca Scott to redefine their positioning, and appeal to the world’s leading architects and designers. The new Rebecca Scott identity conveys its unique style and personality, and reflects who they are and what makes them distinctive: classic English craftsmanship with a twist. The refreshed brand was launched at the prestigious Decorex International Show which is synonymous with luxury products. The feedback so far has been fantastic. Take a look at the full case study here. We are delighted to announce that we have been awarded another three Design Effectiveness Awards, including a GOLD, a Silver and a Bronze, continuing our winning streak with five gold awards over five years! At the ceremony held at London’s Tobacco Dock on February 11th, we added to our expanding collection of awards with a Gold for The Beer Studio, a Silver for The Yorkshire Post (part of Johnston Press), and a Bronze for The Fitness Studio, bringing our grand total to 14 Design Effectiveness Awards. GOLD: We created a brand identity for The Beer Studio, a specialist brewing arm of Hydes Brewery. The innovative and edgy portfolio of beers is in marked contrast to Hydes’ more traditional ale, positioning the beers for a younger, more urban market, and resulting in a 24% year on year increase in sales. SILVER: We rebranded and repositioned The Yorkshire Post to widen its market appeal and combat a change in consumer habits. Following the rebrand, The Yorkshire Post saw online visits increase by 44%. BRONZE: Our brand identity for Fitness Garage has received outstanding feedback since launch and has given Fitness Garage the lift they required as a small new business. Fitness Garage reported a 163% increase in membership and won “Newcomer of the Year” at the National Fitness Awards. Two Good Design Award wins! Continuing our success from last year, we are delighted to announce that we have been awarded with two more Good Design Awards from the Chicago Athenaeum Museum of Architecture and Design, celebrating the most innovative and cutting-edge designs from around the world. We have been recognised for our unique brochure design for National Grid’s Chairman’s Awards and for the redesign of the Green’s gluten free beer range – redefining their position in the Free From and speciality beer category. Our winning work will be featured in the Good Design Annual and added to the museum’s permanent design collection in Chicago, joining our winning designs from last year. With great emphasis on quality design of the highest form, we take great pleasure in adding to our collection of Good Design Awards. We are proud to announce our latest work for T&R Theakston; the rebranding of the legendary Theakston Old Peculier. We have worked with the North Yorkshire brewery since 2004 and have helped reposition its brand and ensure it is fit for market. 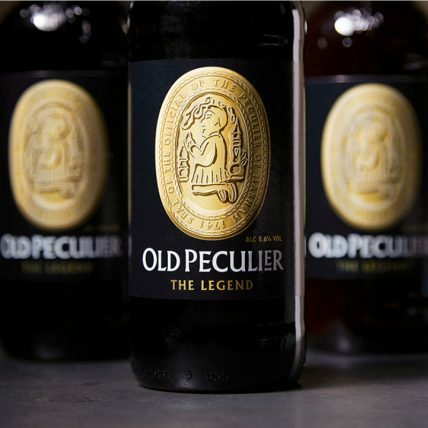 The redesign has built on the equity and values of Old Peculier with the aim giving the brand a more premium look and feel and increasing its on-shelf visibility. This is an iconic beer that deserves a unique positioning. The design draws inspiration from the official seal of the Peculiar of Masham, who oversaw the diocese on behalf of the church, back in the middle ages. The label uses conventional label printing processes to achieve the dimensional gold effect and required exceptional artwork and repro input. Our packaging designs for Green’s gluten free beers have been awarded a HOW International award. Green’s is one of the world’s leading producers of gluten free beers and the coeliac market is currently one of the fastest growing sectors. In order to capitalise on this market growth and also to future proof the Green’s brand, we completely redesigned the brand and its packaged range of beers. The rebrand creates a unique positioning for Green’s, making Green’s a beer of choice, not a beer of necessity, for both coeliacs and mainstream beer drinkers. We’ve won seven HOW awards to date, and take great pleasure in our designs being recognised internationally. The new Green’s designs will feature in the next HOW annual, showcasing outstanding design from all over the globe. This year we asked everyone at WPA Pinfold what they love about Christmas and why. Read on to find out more about what we love about Christmas. 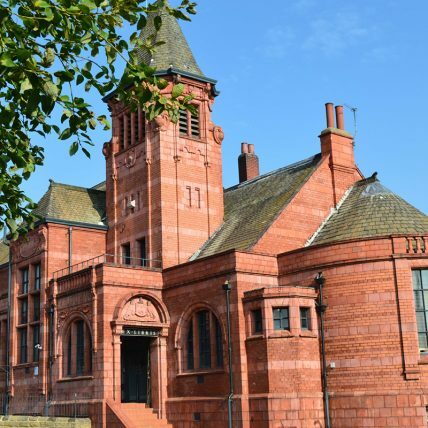 November 26th marks the day that Ex Libris was first opened as Holbeck Library back in 1903. Our studio is a classic example of the late Victorian Art Nouveau style with gothic elements – a Burmantofts terracotta masterpiece designed by William Bakewell. This classic, grade II listed building is the perfect setting for our contemporary post modern studio with its raw materials and open plan format. We have transformed the once public library into a modern studio space, equipped with a fully fitted kitchen, break out areas and a refectory, giving our team of over 25 designers and strategists the perfect environment to serve our global clients. 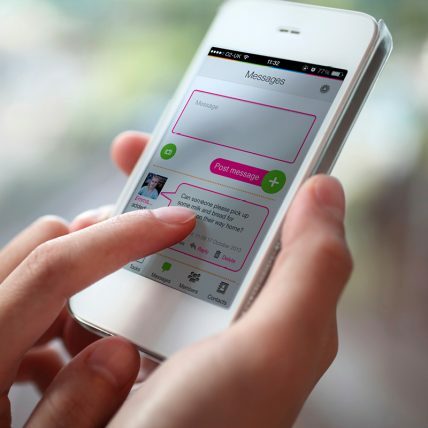 The care sharing app we designed and developed for Cura, has won an award at the 2015 Fresh Awards. When we were first approached by Cura, it was really nothing more than an idea, the concept of an online community hub for a group of people who have one thing in common: they all look after the same person, whether a family member or friend, or because they are involved in a volunteering scheme. The hub was intended to act as a way of communicating between the group to make it easier for them all to work together. The Fresh Creative Awards are based around great ideas, fresh thinking and a platform to showcase only truly innovative ideas, which is exactly what our app for Cura encompasses! Find out more about Cura here. We’re very happy to announce a fantastic award win for our client, Arriva, who have won in two categories with ‘The Village’ at the 2015 Engagement Award for the best entrepreneur. 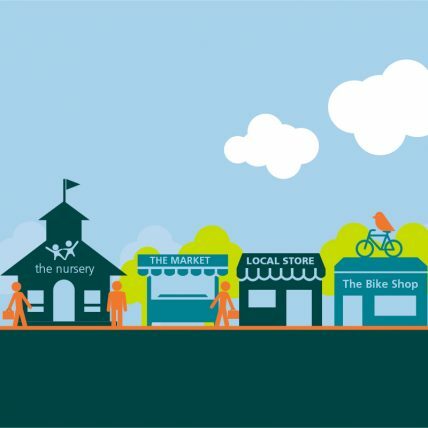 The Village is a rewards online hub for Arriva employees. It’s a one stop shop for all their available benefits, which vary from savings on the weekly shop to childcare vouchers. We created the identity for The Village and the visual theme of a high street to give a retail style feel to the site. Each benefit was given its own place on the street, for example: the village nursery, the bike shop (cycle to work scheme) etc. This virtual community has created a close-knit atmosphere, and has welcomed all of Arriva’s employees from the various operating companies. The Village has gone from strength to strength – in its first eight months, engagement is now up to 26%, based on 3,600 members. Together Arriva employees have saved over £100,000 since launch. The Village triumphed as a winner in two categories: Most Creative Communications for Larger Organisations and Best Branding. Both our design and our digital expertise have been recognised by the Fresh Awards, as we have been shortlisted in two categories this year. In the digital category, our work for Cura has been shortlisted under the public sector sub-category. Developed from the ground up, the primary function of the Cura app is task assignment and delegation between members of a care community as well as a private messaging service. In addition to the app we also developed a web platform and the two platforms work in tandem with data synced across both. The Chairman’s Awards Brochure we designed for National Grid has been selected as a finalist in the Design category. Pop-up and die-cut pages, UV spot varnish and a unique 6-page die-cut wrap around cover make this brochure unique – and this brochure has gone on to win a whole host of awards; here’s hoping for a Fresh award to add to the list. At Wednesday’s award ceremony, we proudly came away with another award to add to our plentiful collection of silverware! At the Brand Impact Awards, organised by the renowned Computer Arts, Crafty Dan was the overall winner in the Wine, Beer and Spirits category – competing against the likes of Bacardi and Aspall. This is the 6th award Crafty Dan has won; each one we receive further reinforcing our overarching ethos of effective design. If you haven’t yet read about our Crafty Dan brand design, take a look at the full case study here. We have won another HOW Promotion Design award (recognising outstanding creative work), this time for our Paperflake campaign which ran over Christmas 2014. We designed and developed an online snowflake generator, which enabled users to create intricate and distinctive snowflakes in a matter of seconds. All created ‘paperflakes’ were then displayed in an online snowstorm – you can still have a go here. A hard copy mailer was also designed and produced, showcasing the compendium of snowflakes crafted by WPA employees. Following the online campaign, selected snowflakes were printed onto acetate giving an authentic icy and Christmassy feel to our studio, and those who had created snowflakes were sent acetate prints of their design. Our Paperflake is one of 84 winners, selected from over 1,000 entries judged by the HOW panel and will appear in the autumn issue of HOW magazine – or you can take a look at the full list of winners here. Following the launch of Crafty Dan, Thwaites saw a 590% increase in average sales per beer, a 33% increase in off-trade profit and a 15% increase in keg profit. Our Crafty Dan packaging has been shortlisted in the Wine, Beer and Spirits category, with winners being announced on September 16th at the award ceremony taking place at the Grand Connaught Rooms in London. We are thrilled to have been selected as a finalist for ‘Best Digital Employee Communication’ in the Digital Impact awards for our work with Hitachi. 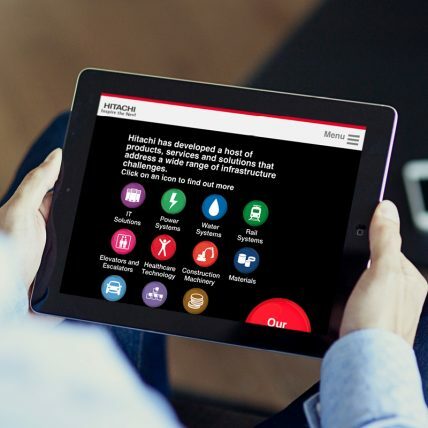 Our project with Hitachi involved creating an interactive web app for Hitachi’s 330,000+ employees. Our goal was to enable and engage these employees to acknowledge and understand the Hitachi Group identity and vision, and for them to understand Hitachi’s Mid-Term Management Plan. Both the web design and SEO was highly successful in this project. The take up of the new Hitachi Vision Book hub has been exceptional, resulting in a +1,733% increase in visitors in the first month of launch. We are very much looking forward to the award ceremony in October, where we will find out if we have won Gold, Silver, Bronze, or Highly Commended. View the full Hitachi case study here. 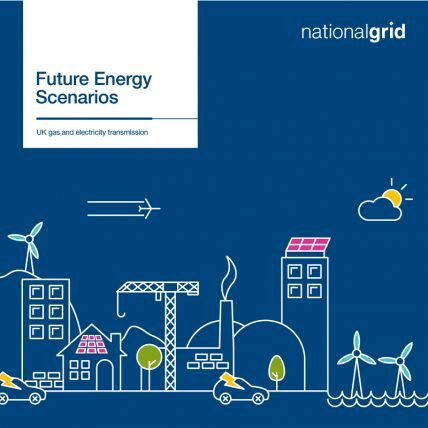 Every year National Grid produces a key external publication called Future Energy Scenarios (FES), which gives an insight into what the country’s energy future might look like out to 2050, based on four different scenarios. The scenarios are designed to help National Grid, government, consumers and other stakeholders make informed decisions about energy policy and infrastructure investment. The publication’s launch and promotion is supported by a comprehensive communications campaign. We worked with National Grid to develop the identity and look and feel for FES 2015, creating a cohesive visual language to the overarching campaign. Event collateral, speaker presentation packs and branded merchandise promoted the 200-page reference document which was launched at the Institute of Civil Engineers in London earlier this year. We also designed and developed a microsite to accompany the event and brochure launch. The document itself carries huge importance throughout the energy industry and is used by stakeholders (including the energy supply chain), politicians and journalists who refer to the information over the course of the year. Take a look at the FES microsite here. 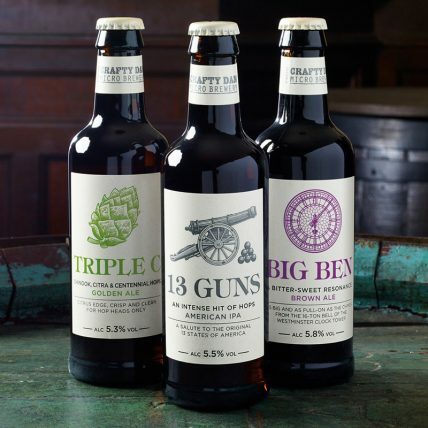 Green’s award winning gluten free beer has recently been relaunched with a total brand overhaul. Our repositioning takes the brand from a clinical and worthy look and feel to one that communicates quality, contemporary – and gluten free too. Green’s is one of the world’s leading producers of gluten free beers, and the coeliac market is currently one of the fastest growing sectors. In order to capitalise on this market growth and also to future proof the Green’s brand, we have completely redesigned the packaged range and given it a premium look and feel to help it compete in the highly competitive speciality beer market, and ensure it is fit for market. There are eight different varieties in the range, and the beers are sold across Europe and the USA. The rebrand has created a unique positioning for Green’s, giving it fantastic standout, whilst also positioning it as a credible beer brand — making Green’s a beer of choice, not a beer of necessity, for both coeliacs and mainstream beer drinkers alike. 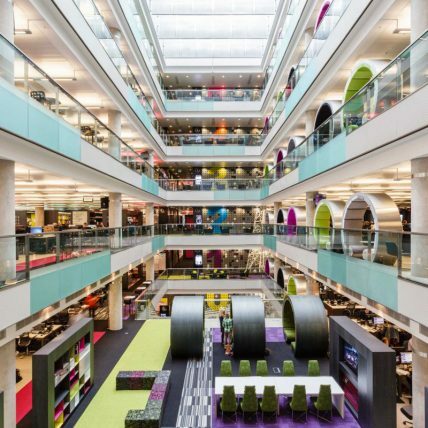 This week, Greg and Joe from our digital team attended the summer 2015 BBC Online briefing in Media City, Salford. This is the second BBC Online briefing we’ve been to, since being on their Digital Services Framework. As expected, it was a hugely insightful and beneficial day spent among other industry experts learning about the future of digital at the BBC. On top of the motivating and intriguing talks, we were able to try out a virtual reality headset, where we were submerged into a Cirque Du Soleil environment – creepy but astonishing! When Yorkshire Evening Post approached us to create the identity for their Food and Drink brand, as foodies we jumped at the chance. Our strategy was to visually link this wonderful county to the fantastic produce it grows and supplies: produce which makes up the vital ingredients in all kinds of delicious food and drink consumed all over the country. So much food is grown and harvested in Yorkshire, and really makes Yorkshire what it is today – and this beautiful partnership between locally grown produce and God’s own county is reflected in the new identity for Yorkshire Food & Drink. The extensive range of icons in the new brand identity represent the diversity of produce from Yorkshire that is consumed both in the home and in pubs, bars and restaurants across the county. Icons represent artisan bakers, craft brewers, farmers and makers, all excellent examples of county-reared and home-grown produce. Together, the icons form the Yorkshire Rose, a fine emblem for this idyllic county. Yorkshire Food & Drink is Yorkshire’s only dedicated food and drink website, covering everything from pub and restaurant reviews to recipes to food and drink events in the county. This new hub has created a go-to space for the latest news and information about the region’s finest produce. 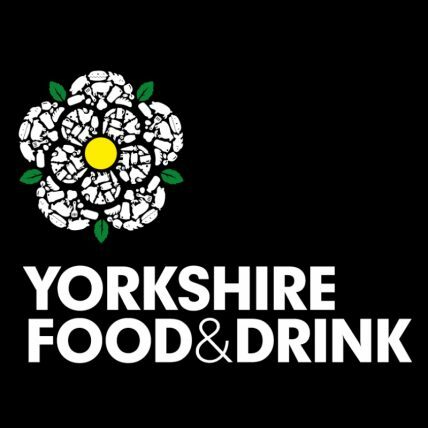 View the new Yorkshire Food & Drink website here. After months of reader feedback, and an evident decline in sales, it was clear the Yorkshire Evening Post needed to be revitalised and repositioned to align it with its core readers in Leeds whilst also reaching out to new audiences. The newspaper was lacking a strong engaging image and didn’t accurately reflect the City of Leeds and how it has grown and developed. 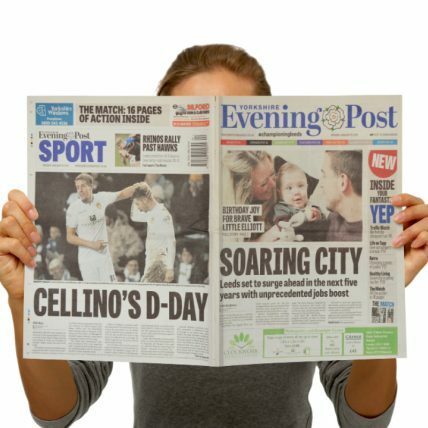 In order to reinstate the Yorkshire Evening Post as the voice of authority for Leeds, we completely redesigned the masthead, replacing outdated lettering, whilst ensuring the traditional feel of the paper was maintained, and – most importantly – refreshed the iconic white rose, Yorkshire’s emblem. We worked closely with Johnston Press, consulting with their in-house team, to deliver a strategy which would combat the decline in sales and encourage the people of Yorkshire to be more involved in the region’s news. The masthead redesign, refreshed tone and layout more accurately mirrors the City of Leeds’ vitality and has given the newspaper a fresh and vibrant visual identity to be proud of, setting a new precedent for this much-loved regional title. 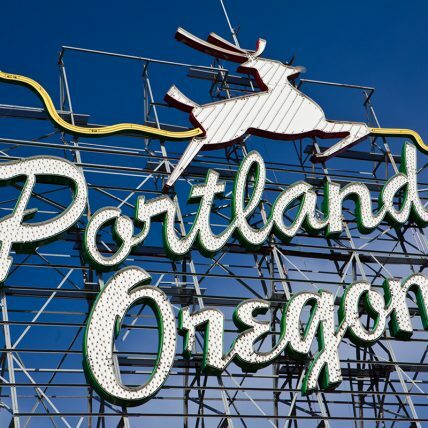 WPA Pinfold are extremely excited to announce that we have metaphorically packed up our beer expertise to take it over to the 2015 Craft Brewers Conference (CBC), in Portland, USA. We have an exhibition stand at the huge craft beer event, showcasing our recent and successful projects, and offering our expertise and knowledge of the UK beer market to US brewers and beer aficionados from across the globe. Visiting the Craft Brewers Conference gives us the fantastic opportunity to meet interesting brand owners and other industry experts from the craft beer and brewing market. Our beer expertise will be also be on-hand for any American brewers interested in export opportunities in the UK and Europe – we’re also running our Beer Brand Clinic, where brand owners are given a free brand analysis and diagnosis. We are on stand 858 from April 14th-17th – if you’re attending the 2015 CBC come and see us to talk all things beer and strategic branding. Last week, between 18th-20th of March, WPA Pinfold set up shop at the 2015 SIBA BeerX exhibition – only this year, our stand was somewhat out of the ordinary. 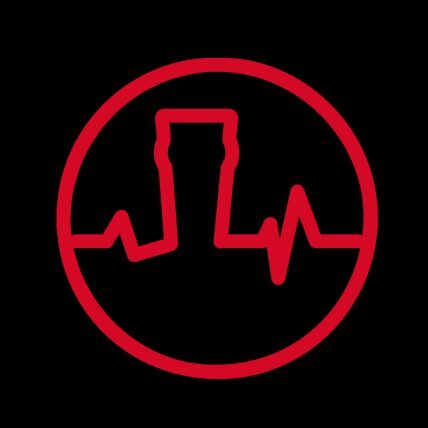 We were running a Beer Brand Clinic on stand 128 offering brewers the chance to book in for an appointment for a free brand assessment and diagnosis with our very own Myles Pinfold (brand doctor, if you will…). The event gave us a real opportunity to showcase our recent work and offer our brand expertise to those in the industry who are interested in how we can help them build their brand’s equity and create further success in the dynamic craft beer market. Bumping into familiar faces whilst becoming acquainted with newcomers in the BeerX scene was all part of the fun – we’re looking forward to working on some exciting new projects in the brewing world. We’ve won another two awards, adding to our expanding collection. This year, we’ve picked up HOW International Awards for our work for long-standing clients, National Grid and Daniel Thwaites. Our design for National Grid’s ‘Chairman’s Awards Brochure’ has recently been produced to accompany an award ceremony which recognises the outstanding efforts and achievements of National Grid employees. Our Crafty Dan packaging work for Daniel Thwaites has won a string of awards, including an International Beer Award, Graphis, DBA Design Effectiveness, The Chicago Athenaeum Good Design Award and now a HOW International – clear evidence that our design is not just beautiful, but effective as well. Both entries will appear in the spring 2015 HOW magazine. It’s absolutely wonderful for our design to be recognised internationally and we endeavour to keep adding to our ever-growing list of achievements. From 25th to 2nd in three years. We achieved a complete podium finish, with Gold for Daniel Thwaites, plus a Silver for Fair Trader and a Bronze for RWE npower. This brings our grand total to eleven awards in recent years, and moves us up to second in the UK Design Effectiveness League Table. SILVER: We rebranded Fair Trader to position them as a successful, dependable and ethical retail business, giving them the brand equity they required to become a reputable and profitable fair trading cooperative. Following the rebrand, investor numbers increased by 72%, and overall turnover increased by 25%. BRONZE: The ‘Applause’ employee recognition scheme we developed for RWE npower was integral in helping unify a company-wide employee reward scheme, increasing employee engagement and facilitating a sense of pride among RWE npower’s employees — with over 81% of employees having received Applause recognition.